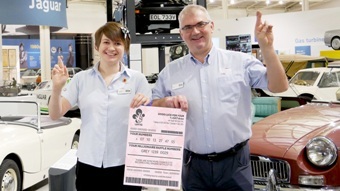 British Motor Museum supports National Lottery's December thank you! The British Motor Museum is again joining hundreds of other National Lottery funded visitor attractions across the UK in saying 'thanks' to people who have raised money for good causes & HLF funded projects, by buying a lottery ticket. From 3 to 9 December 2018 the Museum is offering £2 off its standard Museum entry for up to 5 people, for players of the National Lottery. The Museum's Trust (BMHIT) was awarded £1.4 million from the Heritage Lottery Fund in 2014 to help fund its Collections Centre Project. The Collections Centre opened in February 2016 and enables visitors to view cars from the reserve collections of both British Motor Industry Heritage Trust and its partner the Jaguar Daimler Heritage Trust. It also houses a vehicle restoration and conservation workshop and the public can view restoration projects in action for the first time in this purpose-built facility. The Funding also assisted with the development of the Museums volunteer programme which now sees over 70 volunteers regularly engaged with guiding, restoration, outreach, learning events and more. Ros Kerslake, Chief Executive of the Heritage Lottery Fund, said "December is a wonderful time to experience the UK's rich, diverse and exciting heritage, which has been transformed by more than £7.8bn National Lottery funding since 1994. This is a small gesture of thanks and a way of giving something back to the people who buy tickets." The idea is simple: any visitor to the Museum who presents a National Lottery ticket or scratchcard between the 3 & 9 December 2018 will get £2 off standard Museum entry for up to 5 people in return. Tim Bryan, Head of Collections & Interpretation at the British Motor Museum said "We are hugely grateful to the support of the Heritage Lottery Fund. It has allowed us to make our collections far more accessible and enabled people to learn so much more about the motor industry, which has played such an important role in the West Midlands". 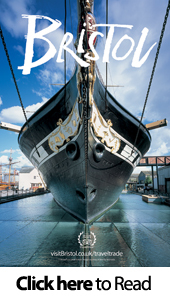 Terms and Conditions of National Lottery Thank You: £2 off standard individual Museum entry for up to 5 people. 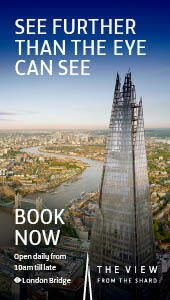 Cannot be used in conjunction with any other offer, group, education or family ticket. Need to show a National Lottery ticket or scratchcard valid for draws between 28 November & 19 December to qualify for the discount. The British Motor Museum reserves the right to refuse entry in the unlikely event of the venue reaching capacity for any unforeseen circumstances. National Lottery players raise, on average, £30 million each week for projects all over the country. In total £38 billion has been raised for Good Causes since The National Lottery began in 1994 and more than 535,000 individual grants have been made across the UK, the majority (70 per cent) of which are for £10,000 or less, helping small projects make a big difference in their community!